Today with the rest of the Waitakere Ranges Local Board I attended the meeting of the Environment and Committee committee of Auckland Council to talk about proposals to deal with Kauri dieback. Following our presentation the Council voted by majority to support option four. There were a number of other resolutions passed some of which furthered other issues we had raised. Following is a synopsis of my address to the committee. The disease is a scourge. It is a kauri killer and they are facing extinction because of it. Kauri are a keystone species. If they go the health of the forest will be adversely affected. Regrettably the Waitakere Ranges is the most heavily affected area in the country. And following the recent Auckland Council report on the disease it is clear that infection is concentrated along tracks, watercourses and bait lines. Peter De Lange, who is a scientist at AUT and a former principal science adviser at the Department of Conservation has said this about the disease. 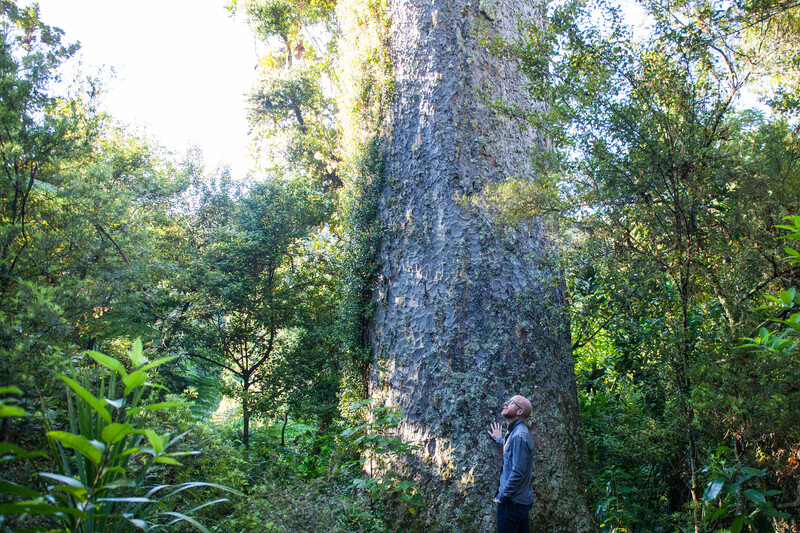 I can tell you now, because of the rate of decline that’s been mapped and because we have good data, that kauri is now being listed as a threatened species. Contained within the Kauri Dieback report is this graph which shows a clear correlation between walking tracks, watercourses and baitlines and the spread of the disease. Five different options were presented to the committee. They included doing nothing, status quo, slight improvement, close high and medium risk tracks, and close the ranges. Status quo is not an option. The recommended option (slight improvement) is deficient because there is a need to quarantine areas where dieback is prevalent and close tracks where there are healthy Kauri. Option 4 closest to what is needed to protect Kauri but still allow some use. We did not think that full immediate closure was workable. Our submission noted that under the Waitakere Ranges Heritage Area Act there is an obligation to “protect, restore, and enhance the area” and when making decisions that threaten serious or irreversible harm Council must endeavour to protect the forest. I included two maps in the submission. The first showed the spread of Kauri disease which has been spreading like a cancer along the tracks. Red dots are infections in 2011. Black dots are infections in 2016. The next map shows tracks of no, low, medium and high risk. Option four requires the medium and high risk tracks to be closed. We thought long and hard about Te Kawerau A Maki’s placing of a rāhui over the Ranges. We understood completely their desire to and motivation for imposing the rāhui. There have been delays, including the release of the Kauri dieback report. Results from testing were known last November. An urgent meeting was held in December. But it took until August for the report to be published. We consider that the rāhui presents an opportunity to urgently address the crisis affecting Kauri and is a perfect tool to educate Auckland of the severity of the situation. And we thought that option 4 is not inconsistent with the principles of the rāhui in that Te Kawerau A Maki is prepared to allow “rolling openings” of low risk areas. Option 4 speeds this process up. Urgent work on tracks to improve drainage and increase number of boardwalks as well as rerouting away from Kauri. Install more hygiene stations along tracks, not just at track entrances. Install DOC high quality stations at key sites. Work with concessionaires to re-site tourism activities. Our presentation ended with the photo below of Aunt Agatha which is the most prominent Kauri in the Ranges but has succumbed to Kauri Dieback. We do not want to be at another meeting in another 5 years discussing another report that shows a further spread of this disease through the Waitakere Ranges. We need urgent effective action now.